As with any skill or athletic endeavor, the only way to improve is by practice. Practicing, in the form of drills and exercises, increases muscle memory, builds strength and endurance. If your swim team is looking to improve their freestyle stroke, please use any of the following swimming drills at your next practice. When isolating the freestyle stroke, remember that swimmers should be spending more time on their sides, not on their front. The key to mastering the freestyle stroke is in this long-axis rotation of the body. When introducing a new regiment of swimming drills, make sure to fully explain and demonstrate each drill in and out of the water. This will ensure that your team performs the drill correctly to maximize its usefulness and reduce the risk of injury. The first set of the freestyle drills are catch-up drills, which isolate one arm at a time to perfect the long stroke and body position. The catch-up freestyle stroke is swum just like regular freestyle except that one arm is always stationary and extended forward while the other arm performs the regular arm motion. Once the moving arm catches up with the stationary arm, they switch. Once swimmers have gotten the rhythm of the catch-up freestyle stroke, feel free to use one of these variations on the catch-up drill. First, there’s the ¾ catch-up, which is like the regular catch-up drill except that the stationary arms begins its course of movement when the moving arm is three-quarters of the way through its motion. This variation requires a great deal of co-ordination! Next, have your swimmers try the catch-up drill with a floatation device, such as a kick board. The stationary hand holds the board and passes it between hands as they switch roles. Finally, there’s the fingertip drag variation on the catch-up drill which promotes high elbows during recovery. This drill is swum just like regular freestyle except that the fingertips never leave the water during any part of the stroke. Make sure swimmers notice the change in body positioning in order to accomplish this, especially keeping the elbows pointed up. The next series of freestyle swimming drills are known as the 10/10 drills, which improve one’s body roll and head alignment. To begin, the left arm is extended fully forward and the right is extended backward, resting against the edge of the swimmer’s body. The swimmer is positioned with their right side up and their left side in the water. Their left ear should be resting on the left shoulder with their mouth slightly out of the water to necessitate breathing. Once the swimmer is in the correct position, the drill can begin. Have the swimmer take 10 kicks then one stroke so that the body rolls into the same position but on the right side. Then take 10 more kicks and repeat. The 10/10 drill should feel just like the regular freestyle stroke but in slow motion. After the swimmers have gotten the hang of the 10/10 drill, have them perform the drill in the same style but with the breathing rotation of regular freestyle stroke by rolling their heads to the side. 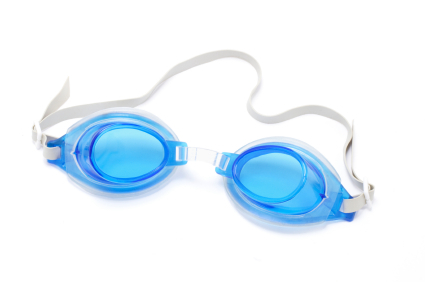 Looking For The Swimming Drills & Practice Plans? Click Here.